Updates procedure for the Roofing, Siding, Gutter and Specialty Trade Admin pages which corrected the listing of crews and vendors that where listed in trades that they did not belong to. Corrected issue where an inactive user where being displayed on Finial Invoice forms under certain conditions. Made changes to Permit tracking redirects. When working from the permit tracking page the action to update the progress of the permit will take you to the permit progress. Once you have completed the update of the progress of the permit and click save, MaxCon will now take you back to the permit tracking page. updated conditions for billing address and job address to populate correctly on invoices and work orders. Addressed issues that caused the Uploaded PDF order on the orders page of the customer file to crash and not display PDF copy when requested has been resolved. Updated procedure on the gutter order page to fix the issue when a gutter order would send the user to an error page when first saved and submitted instead of just submitted to production for approval. Now gutter orders can be saved then submitted at later times with no errors. Updated formatting for the address area, font sizes and presentation on Insurance invoice and Homeowner invoice PDF pages. Fixed issue that was prohibiting insurance and customer invoice PDF from opening from job info tab for NON Quick Books Integrated companies. Updated Order progress for customer orders on materials delivered popup to also trigger page save. Added a new feature to the production tracker. There now is a column that displays the date the customer was approved to job in relation to the orders being tracked. Added new scroll feature to the Photo Section of the customer file. Now the photos section has a maximum pop up area that will allow the scroll feature to be visible so the save button does not leave the page due to the amount of photos loaded. Fixed issue on the user admin page that was causing the Edit Pencil to not populate for the Corp Admin and Owner roles. Added a new feature to the customers all page and to the selected category pages. There is now a column that shows the balance due on the file for quick view of amounts owed on a client file. Added a new feature to the customers all page and and the selected category pages. There is now a column that displays the Contract Total column beside the balance owed column for a quick view of potential checks to be picked up for deposits not yet received. Added new additional fields to the exported excel file on the customers all page. The columns that where added are contract total, balance due, deductible amount and ACV amount. This is to help our clients that like to have detailed reports for auditing purposes. Added a new feature to allow MaxCon clients to have the ability to assign a secondary sales rep to a customer file. If assigning the second sales rep the commissions will not calculate for the second rep at this time. The second sales rep can be un-assigned from a file by setting the drop down back to Select Sales Rep. The commissions structure changes are being worked on to complete this feature in the near future. Added a new feature for our clients to be able to track warranties they have outstanding with work they have done for their clients. The warranty on a particular order i.e. roofing, siding, gutter etc. is set from the action column on the order page for the order that the client wishes to track a warranty on. The new warranty tracking page will be found in tracking tab. Added a new feature which gives the ability for our clients to track a second customer email address on the customer summary page. Added a new feature for action Job Info submitted. We have added a new action the the alerts area on the sales office home page titled ( Job Info Submitted). This adds an alert count for managers to review the job info’s that have been submitted and awaiting approval. This new feature will only affect QB type companies and will not be able to track any job info’s submitted before October 11 2014. 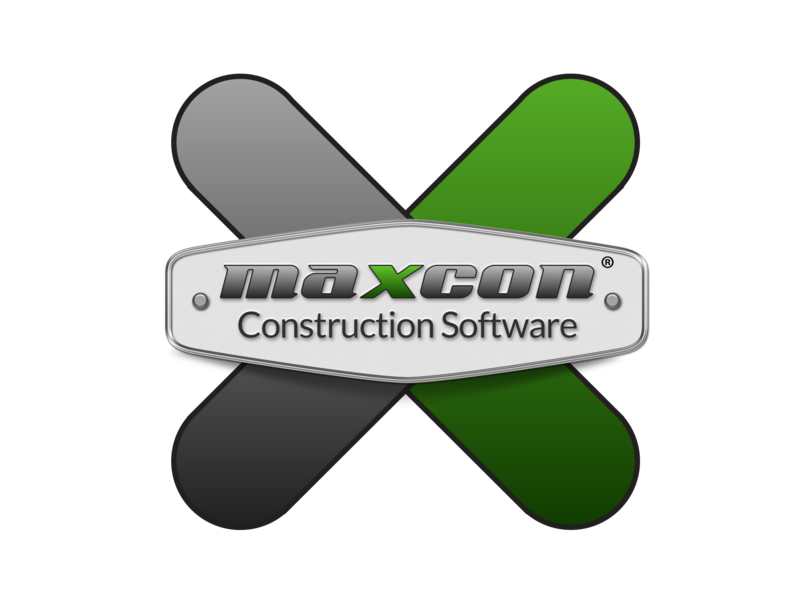 Get a live demo today and see how MaxCon can help organize and grow your business with our construction management software and many other software and services we provide to help specialty contractors succeed.